Langhorne, Pa. (April 17, 1966) - The Ford Motor Company said it wouldn’t “play” so the boys in the Chrysler Corporation cars staged their own show a Langhorne Speedway yesterday and quite a show it was. Norm Nelson has made it to the winner’s circle many times during his 26-year racing career, but a victory at Langhorne had always eluded him. Until yesterday, that is. 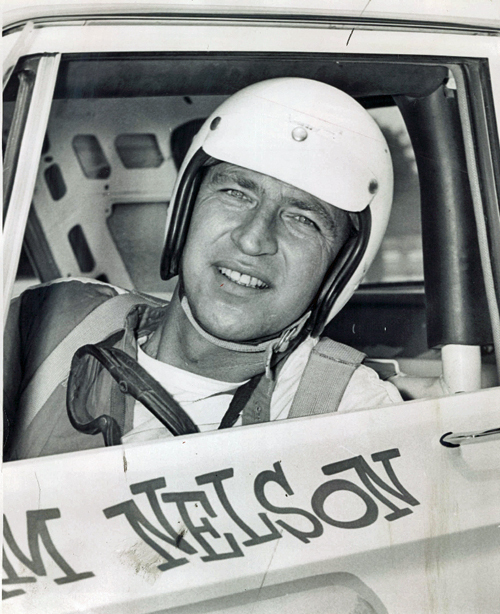 Nelson, a 43-year-old campaigner from Racine, Wis., captured the 150-mile national championship race for late model stock cars in a 1966 Plymouth. He finished just one second (about six car lengths) ahead of his teammate, Jim Hurtubise, driving another 1966 Plymouth. Both cars are owned by Nelson. Although the caution flags were out for 15 laps, Nelson covered the distance in one hour, 27 minutes and 2.28 seconds for an average speed of 103.403 miles per hour. This establishes a record for the 150-mile distance for late model stock cars on the new Langhorne asphalt and the time is believed to be the fastest for the distance on any track. 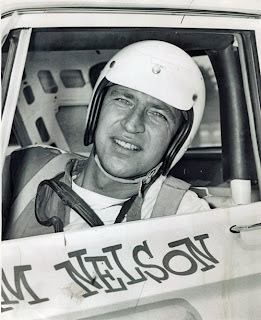 A crowd of 11,400 watched Nelson win the pole position with a qualifying time of 33.0 seconds (109.057 mph), just a fraction off the track record of 110.633 miles per hour set last year by Bobby Isaac. The Ford Motor Company, in a dispute with the United States Auto Club over engine specifications, withdrew all its factory-sponsored cars from the race. Six independently owned Fords did show up to race, but they weren’t any match for the Plymouths and Dodges. Hurtubise, starting in second position, took the lead on the first lap and held it for 90 miles, although Billy Foster of Victoria, British Columbia, and Nelson were in hot pursuit all the way. Foster took command in the 91st lap and stayed in front until the 136th mile when he blew a tire. Nelson moved into the front and stayed there until he got the checkered flag. Hurtubise was moving two seconds a lap faster than Nelson in the closing 15 laps, but he just couldn’t make up the ground he had lost when he made a second stop for a second tire change. Just before Foster blew the tire, it was obvious he was experiencing some steering difficulty and his engine sounded a little “sick”. Nelson had gained considerable ground and the two were running head and head when the tire blew. Nelson and Hurtubise were the only ones to complete the 150 miles. Sal Tovella was a mile back to gain third place in a ‘65 Plymouth. 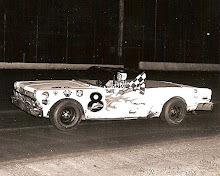 Don White, driving a ‘66 Dodge was fourth, while Foster got mobile again to get fifth place. Nelson had his first race in December, 1940, in a midget race in the Amphitheater in Chicago. In the past five years, he personally was second, three times, third once and fifth once before winning yesterday, However, three of his cars, driven by Paul Goldsmith, A. J. Foyt and Hurtubise, scored victories during that five-year span. 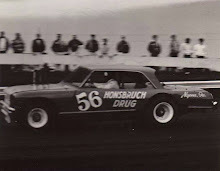 Jack Bowsher, the Ohio speedster who won the Daytona 250 showed up at Langhorne, but did not race. He drives a Ford and does get some help from the factory so he decided it would be best if he did not race against the Ford Company’s wishes. 1. Norm Nelson, Racine, Wis.
2. 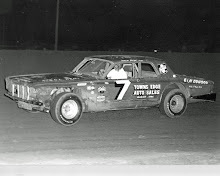 Jim Hurtubise, North Tonawanda, N.Y.
3. Sal Tovella, Addison, Ill.
5. Billy Foster, Victoria, B.C. 7. John Martin, Milwaukee, Wis.
8. Joe Burkhart, Fort Wayne, Ind. 9. Mal Delameier, Poughkeepsie, N.Y.
10. Roger Regeth, Milwaukee, Wis.
11. Ed Meyer, Glenview, Ill.
12. 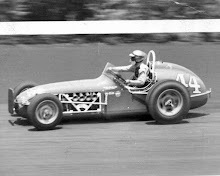 Bob Phernetton, Villa Park, Ill.
13. Bobby Wawak, Villa Park, Ill.
14. Gary Bettenhausen, Tinley Park, Ill.
15. John Klotz, Fort Wayne, Ind. 16. Bay Darnell, Deerfield, Ill.
17. Mac Vails, Columbus, Ind. 18. Roy Mallquist, Fairfield, Conn.
19. 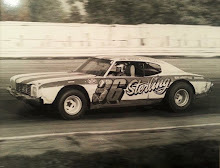 Wally Dallenbach, New Brunswick, N.J.